We buy spawns from IIHR, Bangalore at the price of Rs. 62/kg. The cost of spawn is same for oyster as well as milky mushrooms. We are not interested at the moment for making spawns within the farm because of high investment cost. inside the room yet it is ensured the straw remains moist, atleast having 40% of moisture. To prepare the bed, we take 12x22inch polypropylene cover. We have to fill the cover with approximately 1kg of straw. The bottom of the cover is tied with rubber tightly, which ensures the proper size of the bed. Put little quantity of spawns then a layer of straw. Keep filling the spawn and straw alternatively such that there are 7-8layers of straw. Approximately 120 gram spawns are used per bed. Make about 20 holes on the cover for aeration to help mycelium to grow. Keep the bed in dark for 20 days. putting casing soil, the bed is moved to lighting room. In lighting room, bed will there for 6-8days and we sprinkle water daily (to maintain moisture in casing soil). In summer, we sprinkle water 2-3times while in monsoon and winter water is sprinkled on need bases as the moisture reduces. The mushroom sprouts after 8th day and takes 3-4 days to come out the cover. 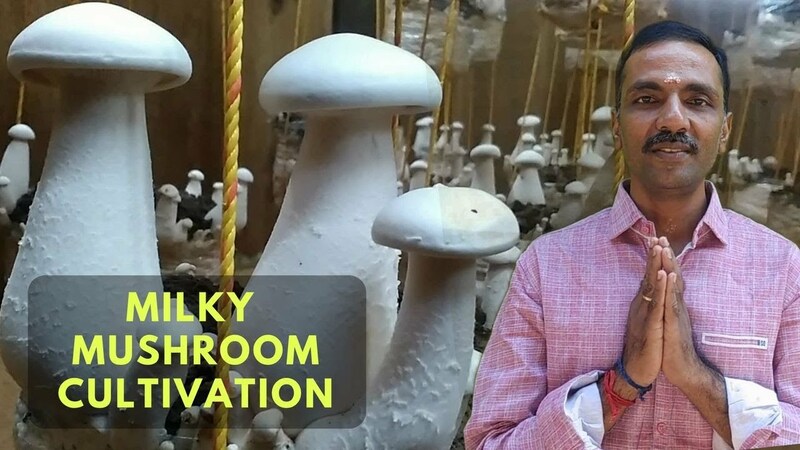 We follow a calculation that is – we make a bed of 1kg straw and to produce 1kg mushroom. We get 98% of produce for 1kg straw. In the lighting room five things are important namely temperature, humidity, air, lighting and cleanliness. Electric bulbs are needed to give all the beds uniform light. In dark room, temperature and cleanliness should be maintained. 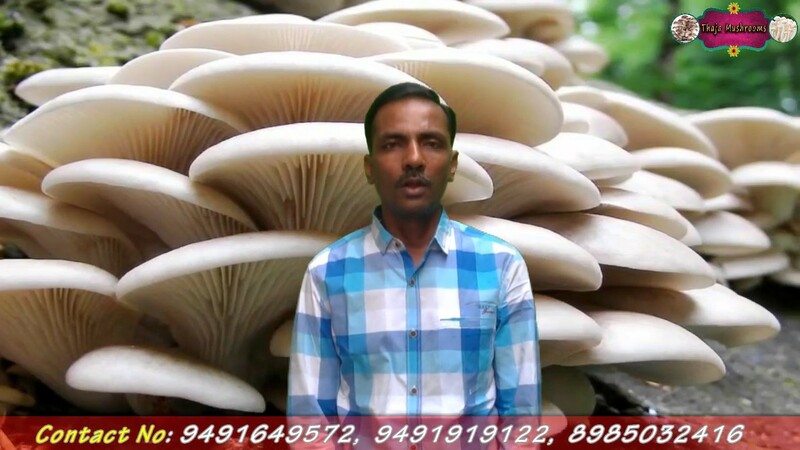 Temperature for oyster mushroom is 24-28 degrees and milky 28-35degrees. Humidity for oyster is 80-90% and milky 85-95 %. As in summer the temperature rises upto 45 degrees, we put dry straws on the cement sheets of the farm shed. We sprinkle water on straws periodically to control the temperature. bed to keep the track. Before putting the next batch into each process, the room is sterilized with formalin and bavistin with powerful sprayer. We use 20litres of water with 500-600ml of formalin and 40g of bavistin. We have different rooms for each process including drying 1 room, 3 dark rooms, 5 lighting rooms. Shelf life of oyster mushroom is 2 days and milky mushroom stays good for 7days. We keep milky mushroom in refrigerator but oyster if remain unsold is put back in the soil for making compost. 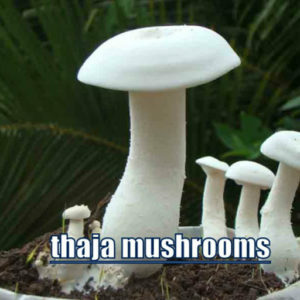 Entire mushroom produce is sold from farm gate to caterers and direct consumers. As we are located on bypass road, passerby come and purchase 15-20kgs mushroom/day. We do not sell in super markets or wholesale markets. To attract customers we have put banner. Mushroom is sold either at Rs. 250/kg or Rs.50 for 200gram pack. In future we want to increase our production capacity .